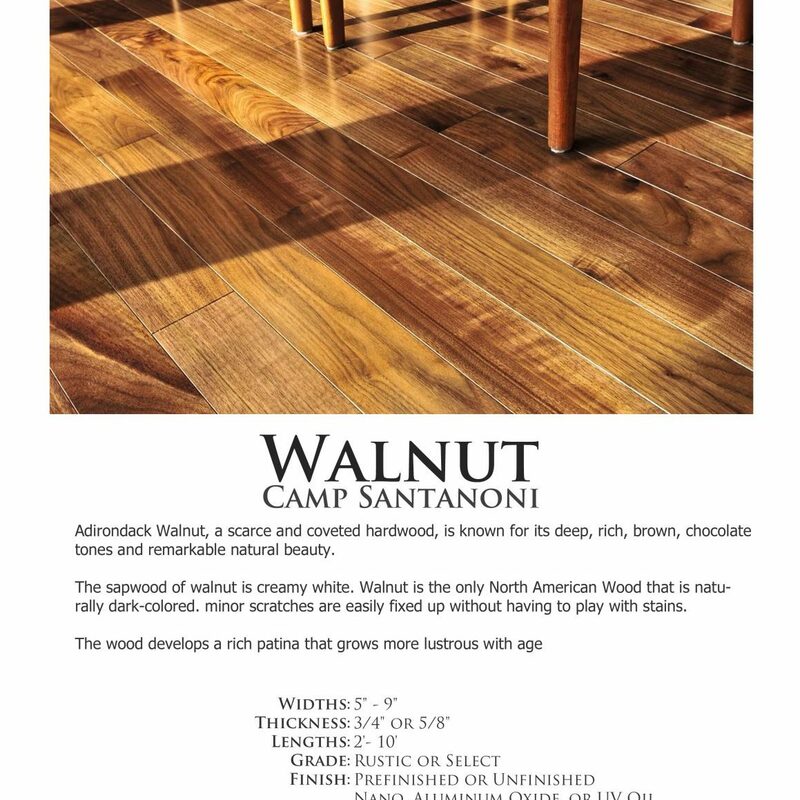 Camp Santanoni - Walnut | Adirondack Wood Floor Co.
Adirondack Walnut, a scarce and coveted hardwood, is known for its deep, rich, brown, chocolate tones and remarkable natural beauty. The sapwood of walnut is creamy white. Walnut is the only North American Wood that is naturally dark-colored. 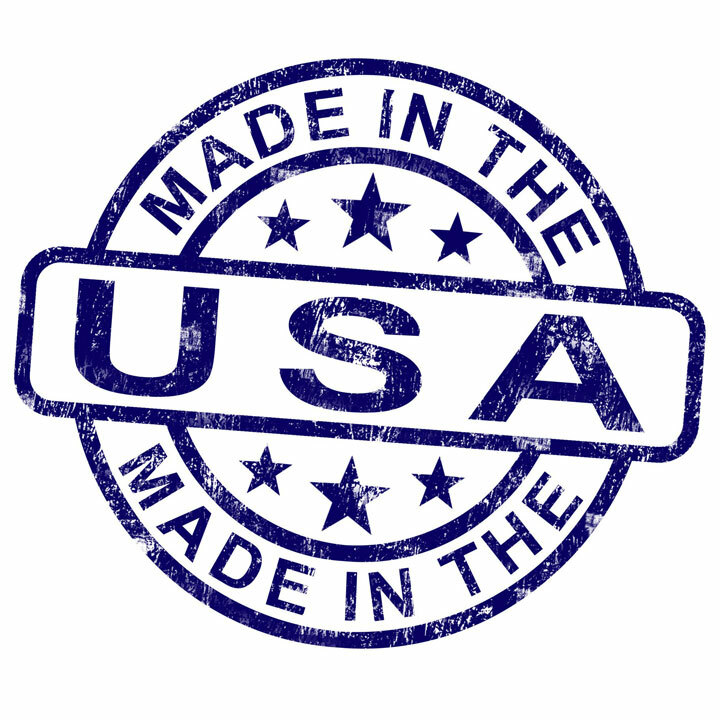 minor scratches are easily fixed up without having to play with stains. The wood develops a rich patina that grows more lustrous with age. Black Walnut is generally straight-grained, but sometimes with wavy or curly grain that produces an attractive and decorative figure giving this wood an exotic appearance which is distinct in Walnut and seldom seen in other woods. 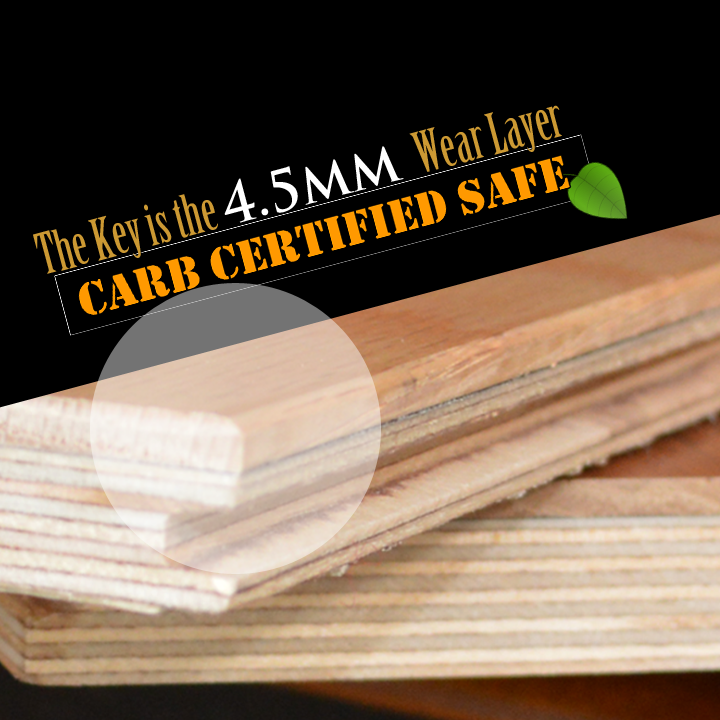 Adirondack Black Walnut flooring is known to be a very durable wood, one of the more durable woods in North America. Under favorable conditions American Walnut is a rapid-growth tree and reaches a height of 30 to 40 feet and a breast-high diameter of 5 to 9 inches in 20 years.